Goalbet.com is an online bookmaker created in 2009 in Austria. With its innovative software and also up-to-date odds, the company has ranked as one of the top 50 online bookies in the world. 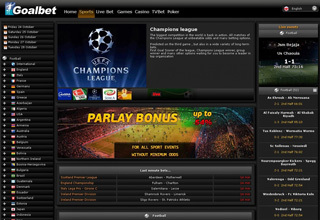 With highly competitive odds and thousands of users in Europe, the site has increased its popularity very quick. Despite being one of the relatively new bookies, Goalbet.com has earned the trust of its visitors by offering the best wagers on many sporting events. 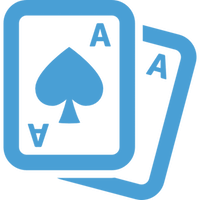 Licensed by authorities in Austria the betting platform ensures the players that all of their business is legitimate and keeps developing their online booking options even further. Owners of the company are Greeks, and they have concentrated their business mainly in Europe. The site has no coverage for US players for now but with its excellent selection of markets will definitely spread worldwide. There are many competitors for the site and Goalbet will have to do their best to outrank them. But with their excellent platform and growing popularity they’re sure to grow more in the coming years. The site has a nice interface and very easy to use menus and options. Setting up your account is a piece of cake. The site has a wide range of market to place your bets on including soccer, Alpine skiing, cycling, American football, darts, basketball, beach volleyball, cricket, futsal, boxing, handball, volleyball, ice hockey, motor racing, baseball, rugby and tennis,. The option for live betting is available for tennis, ice hockey or football. The site is mainly soccer oriented with almost every major league in the world covered. You can find wagers on soccer games from countries like England, Italy, France, Germany, Spain, Greece. Other Asian and South American football leagues are also available. There is an interesting TV Bet option where you can live streaming of events such as Wheel of Fortune, Dice, Baccarat or Poker. The casino offer games like Medusa, Avalon, Cat Queen, Secrets of the Amazon, Macarons, and Minotaur. The bookmaker also offers a mobile platform where you can place your bets via your mobile device. A huge portion of the site is concentrated around football odds, and this is where you can find most of the wagers. On popular soccer games from the major football leagues in Europe, you can find more 400 odds per event. You can place your bets on Double Chance, Halftime Winner, Both Team to score, Draw No Bet, Correct score, Half-time/Full-time, Second Half result, Highest Scoring Half and many more. The very popular Asian Handicap is also supported. But the site is not limited to just football odds. You can place your bet on hundreds of other odds like over or under for Basketball, or on the winner of men and women tennis. Motorsport betting is also available with odds for the Formula 1 championship winner present, as well as, The British Superbike Championship winner. Wagers on such events as politics is also available, most recent of which is the Presidential election in the United States of America. Here are the overall sports betting margins at Goalbet.com: Soccer: 4.90%, Tennis: 6.00%, Basketball: 7.50%, Ice Hockey: 7.80%, American Football: 4.50%, Baseball: 10.00% margin. The odd formats of the site are Decimal (EU). The site has excellent security and customer support for its clients. Goalbet.com is translated in over 20 languages including English, Turkish, Estonian, German, Croatian, Greek, Bulgarian, Dutch, Albanian, Hungarian and many more. The main language for the customer support is English. While they don’t have a live chat support option, their response to questions via email is very quick. Secure connection to the site has been ensured by the implementation of the SSL encryption. It is proof of the intention of company managers to keep the information of users safe and not make them vulnerable to malicious hacking attempts. Email service support is available 24/7, seven days a week and the employees are very polite and knowledgeable. In the help section of the site, you find answers to questions regarding Cash Out, Deposits, Withdrawals and Bonus offers. A comfortably placed “Search” button will help you find anything on the site effortlessly. Responsible gambling is also a part of Goalbet.com policies. The site also has very strict policies for underage players and forbids account access to all underage players. Every player has to confirm that they’re 18 years of age or older by sending a photo to the customer support team. All information collected by the company’s employees is not made available for third parties. 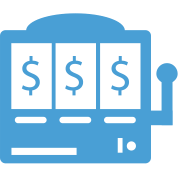 As an online bookmaker whose online presence is mainly in Europe, the site has limited currency deposit options. 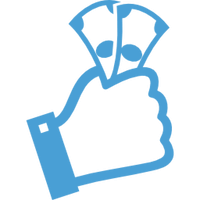 Users registering an account with the site can deposit their funds in Euro only. Offered depositing options available are many. To withdraw money from the account, you can pretty much use the option you have chosen for the deposit. Goalbet.com is offering an attractive “Open Account Offer” that consist of 100% up to €50-cash bonus. To qualify for the bonus you need to verify your ID and that you’re 18 years of age or older. Verification is easy and done by uploading a photo of your ID passport through the site or by sending the ID the sites email. You’ll have first to send an email to the customer support team to claim your bonus offer. The rollover requirement of the bonus is to bet the amount on five bet slips that must include 3 or more events. The odd of each included event must be 1.50 or higher before a withdrawal can be requested.